Any shape is possible for us to make we are only limited by the size of the raw material we use. 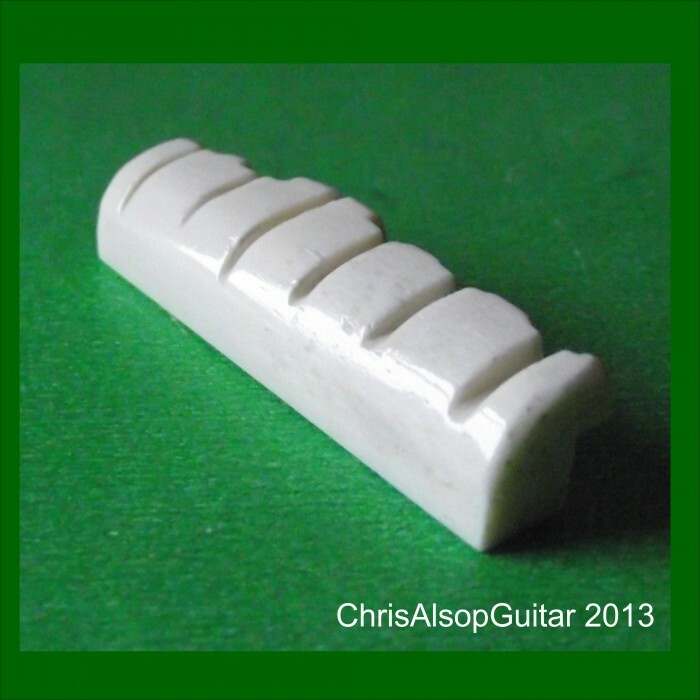 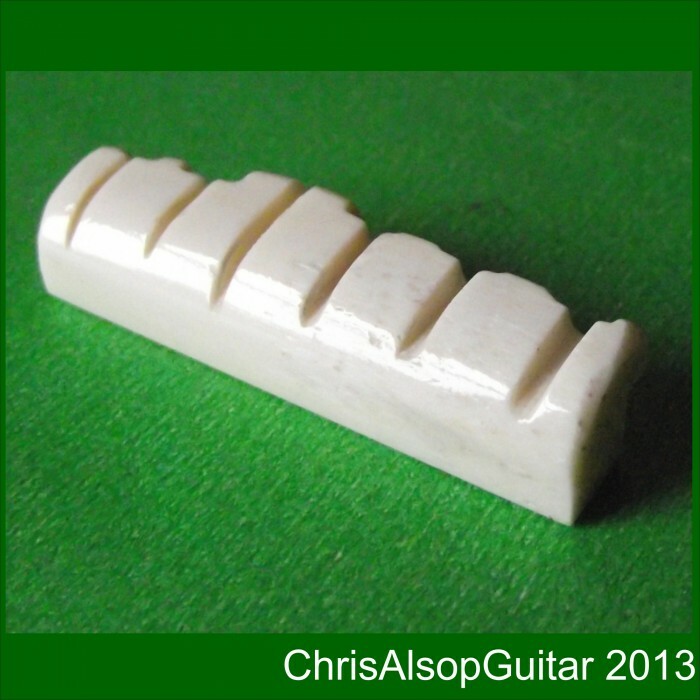 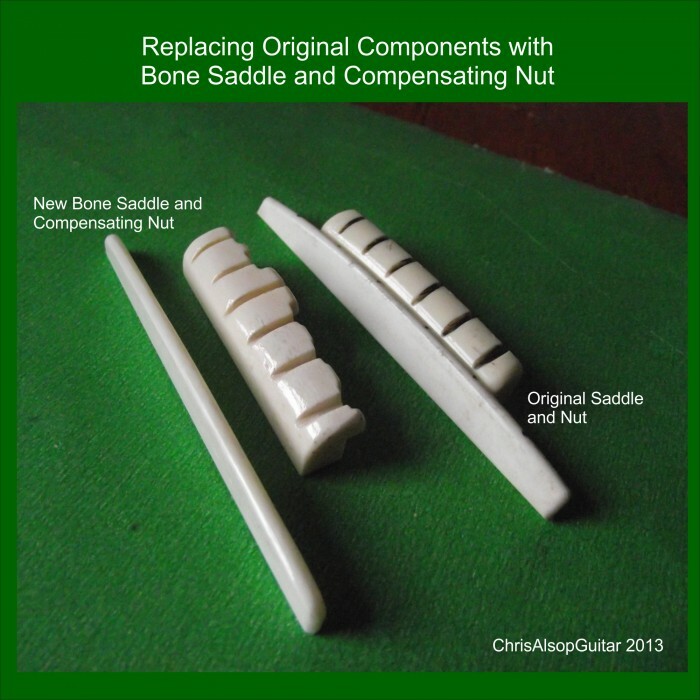 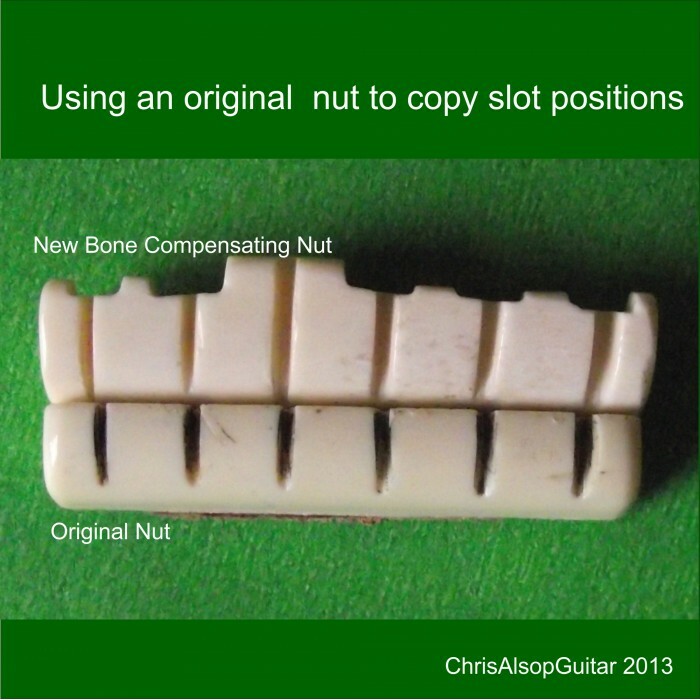 By changing the string length a compensating nut is able to improve the guitar note accuracy which results in better harmonies. 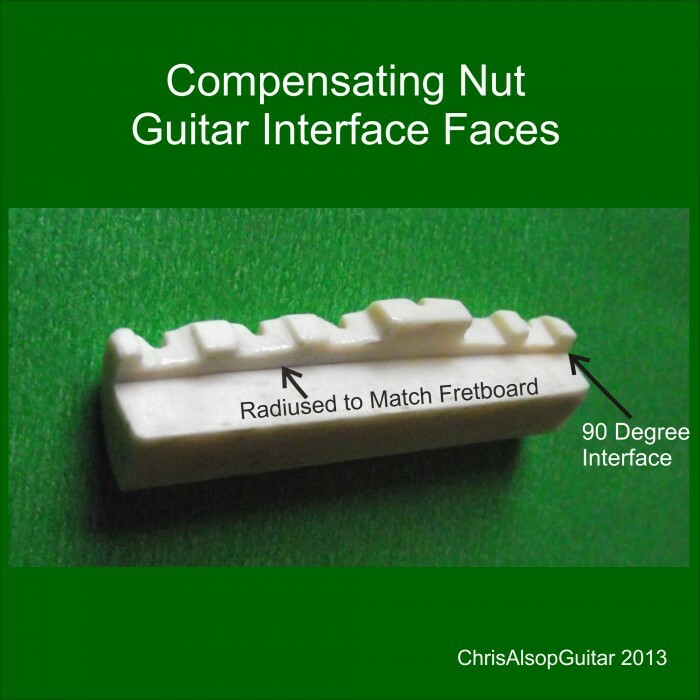 Generally fretted notes play a bit sharper than the ideal pitch mainly because of the fact that a fretted string is stretched a little by the very act of fretting it. 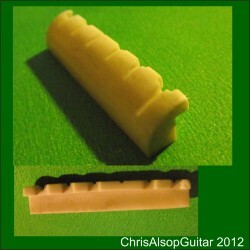 By shortening the unfretted string using the overhang of the compensating nut, the open string will require a little less tension for it to be tuned to correct pitch - and this reduction in tension will lower the pitch of all the notes from that string, which will offset the pitch increase effect from string stretching.